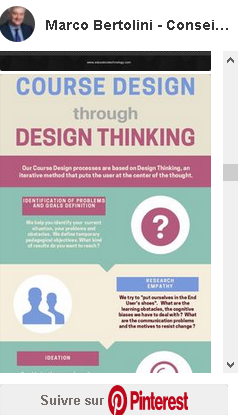 Mindmaps are fantastic to show you the structure of a course, an organization or a group of concepts. Flashcards are great when you want to study details, definitions or formulas. With XMind2Anki, combine the power of mindmaps and of flashcards to study even more efficiently! If you are a regular mindmap user, you already know how efficient they are to study : they are a fantastic way to find the links between concepts and to show the structure of any set of thoughts. You already found out how the association of keywords, pictures, branches and colours helps you to better understand and memorize. If you use flashcards to prepare for your exams, you already know how helpful they can be to memorize very quickly a huge amount of new words in your own language or in a foreign idiom, definitions or maths and sciences formulas. What if you could combine the powers of those two fabulous tools? 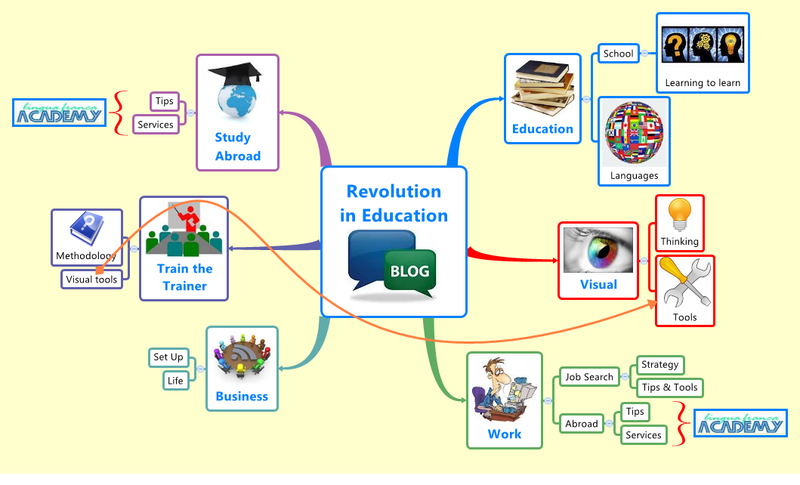 If you could use the links, the structure, the global view of a mindmap as well as the powerful details memorization of flashcards? 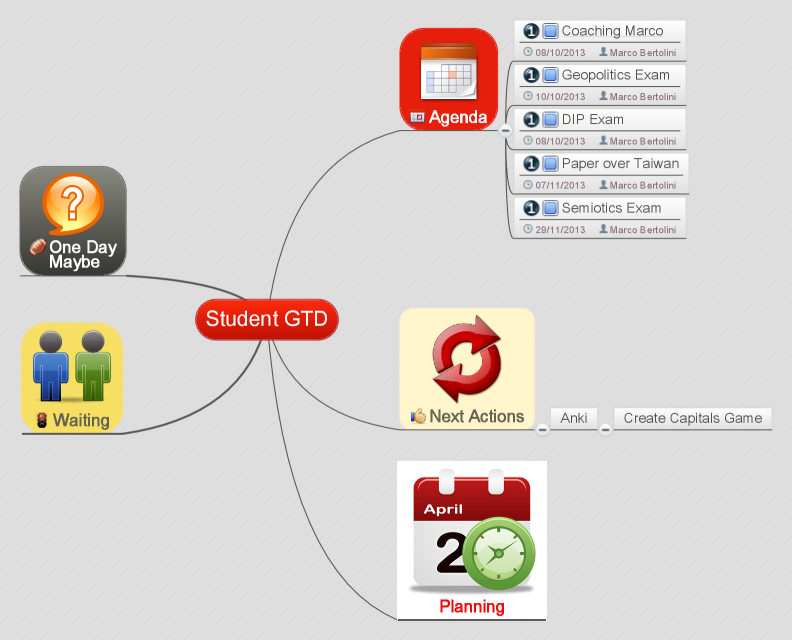 Of course, it would take a lot of time to gather the elements of your mindmap to turn them into a deck of flashcards! It is a small application that you can download and use entirely for free : no bad surprises! Download also XMind and Anki if you don’t have them yet. Draw your mindmap as usual. In this article, we’ll see the simplest method : one question and a set of answers per branch (or topic, in XMind lingo). 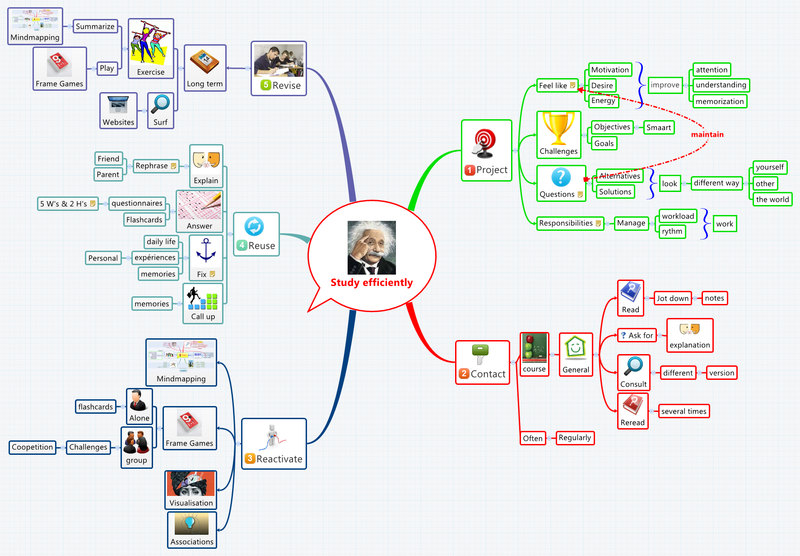 In another article, we’ll see how to use filters to export more complex mindmaps. I made a mind map about the French Presidents of the Fifth Republic. 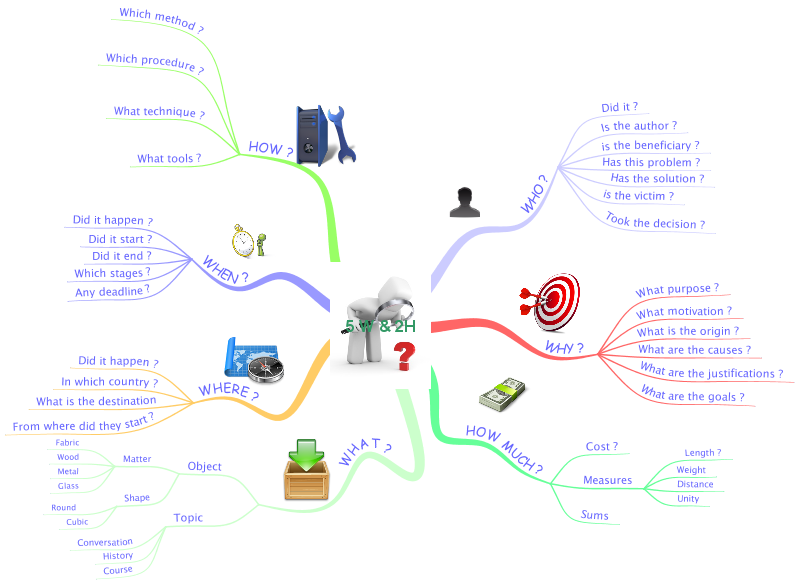 This is a very simple 2 level mindmap : the first level – Premier, Deuxième, Troisième, etc. – will be our question. Who is the fifth French President of the Fifth Republic? The second level – for instance, Jacques Chirac, 29-11-1932, etc. – will be the answer. Once you have downloaded your application, you get a .rar file. You have to decompress it in order to launch it. Then, click on the xmind2anki.exe file, if your OS is Windows ; click on the .jar file, if you work with Mac OS or Linux. Xmind2Anki can work with the three operating systems. First, click on the red button, in the superior left corner of the menu. This will indicate to XMind2Anki which XMind mindmap you want to export to Anki. In this case, I select my French Presidents mindmap. Then, choose a name and a location for your Anki file. When it’s done, simply click on the green button, on the right. XMind2Anki starts to export your mindmap as a new deck of Anki Flashcards! Since I have only 8 topics, the exportation takes only a few seconds! If I look closely at my XMind mindmap, I’ll find out that a tiny icon appeard in the central topic : it is the Anki icon and it is a hyperlink towards the desk of flashcards I just created. If I click on that tiny icon, I’ll open my new desk of Anki flashcards! Here is a sample of my new desk about the French President : this is the fourth topic of my XMind mindmap and the fourth flashcard of my Anki deck : François Mitterand, who was the fourth President of the Fifth French Republic. The word “Quatrième” – fourth in French is my question. So, who was the French president ? The answer is François Mitterand and I can see his picture. All the subtopics the branch François Mitterand became parts of the answer, listed in a bullet list under the picture. 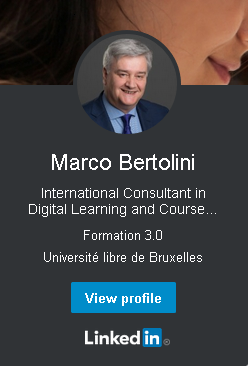 Now, I can study the presidents of the Fifth French Republic combining the structuring powers of the XMind mind map and the memorizing powers of the Anki flashcards. And you : are you also using this kind of techniques ? Or do you study with other tools ? Which ones ? What kind of results do you get ?